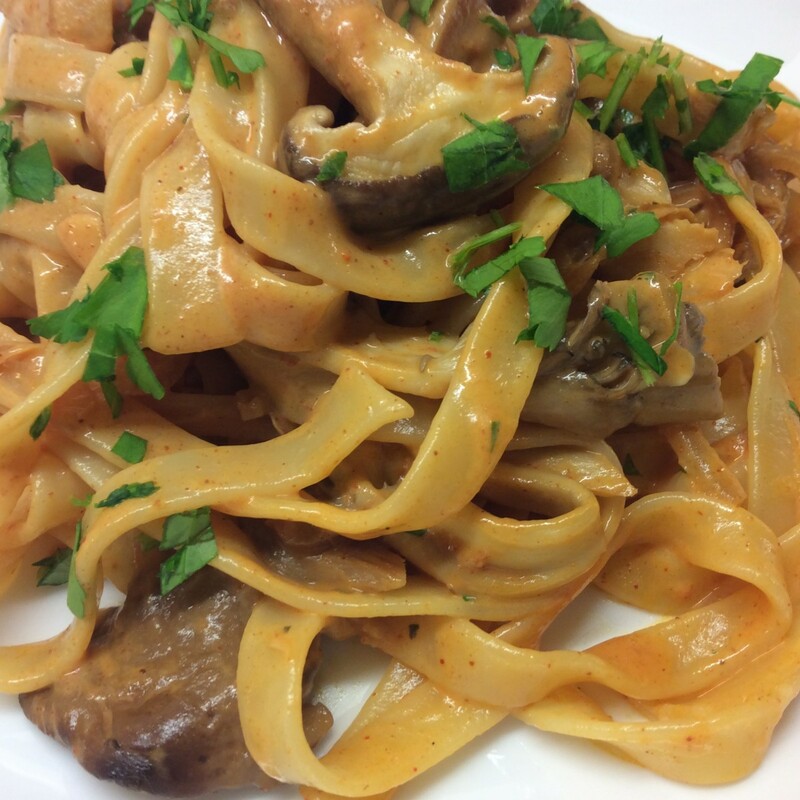 A mixed pack of wild mushrooms was the inspiration for this delicious, slightly spicy, creamy mushroom stroganoff. Served with tagliatelle it made a super comforting dinner for a chilly evening. Heat a tbsp rapeseed oil in a large frying pan and gently cook the onion until soft but not coloured. Add the garlic and cook for a further minute. Add the mushrooms and cook, stirring carefully so you don’t damage them. When they are still firm but almost cooked, make a well in the middle of the pan and add the spices and tomato purée and cook for a minute until the spices release their oils, then turn up the heat slightly, add the brandy and combine all the ingredients well. Pour in the vegetable stock and cream and stir to combine. Season and continue to cook for a minute or two until the sauce is hot but not boiling. Stir through 2 teaspoons of chopped parsley. Pour the sauce over freshly cooked tagliatelle and add a sprinkle of parsley. Serve immediately. Looking forward to cooking this tonight, i will let you know what i think!